2014 is now behind us and it is that time to reflect on the year that has passed. The year has been a fine vintage for cinema and we at Entertainment Fuse Movies have thought long and hard about our top 10 movies of the year, supplying a mix of blockbusters to independent movies and covering many genres, as well as the occasional controversial choice. Steven's Choices 1. Interstellar 2. The Fault In Our Stars 3. Dawn of the Planet of the Apes 4. How to Train Your Dragon 2 5. The Equalizer 6. X-Men: Days of Future Past 7. Captain America: The Winter Soldier 8. Godzilla 9. Fury 10. Men, Women & Childrem In looking over all of the films I had the chance to catch this year, I was surprised by how many I caught and even more surprised by how many I missed that I still need to see. That said, from the list of 30 plus films I saw, the films above are my picks for the best of 2014. Each of the films I've chosen have succeeded in emotionally moving me, in transporting me to other areas of thought, and allowing me to ask the big questions of death, love, friendship, the very nature of existence and purpose. They also provided great escapism, while reflecting a distorted mirror of real life issues that are more difficult to escape from. More honestly though, there are at least a few that were also just pure fun to experience. Take Godzilla, The Equalizer, X-Men: Days of Future Past for instance. Not that they didn't carry their own bit of weight, because they did, but if I think of a movie and say to myself, 'I would pay to see that again,' that says something. Then you have films like Fury, Men, Women & Children, and The Fault In Our Stars, which are a mixed situation of the weighty and light. Fury being the exception here because it is mostly heavy with maybe a couple pointed areas of hope. At the end of it all, as much as I'd like to give my number one pick to Boyhood, which I might have done had I been able to see it (and I just might when I catch it), I've got to give it to Interstellar. That was a big, loud and intense film. Yet, it was intimate and touching and went as grand as it could go while keeping the smaller pieces intact. Cristian's Choices 1. 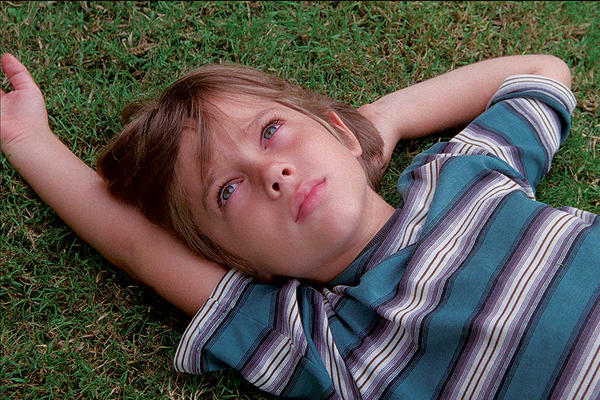 Boyhood 2. Interstellar 3. Birdman 4. Whiplash 5. Gone Girl 6. Foxcatcher 7. The Imitation Game 8. X-Men: Days of Future Past 9. Under The Skin 10. The Grand Budapest Hotel My top movies of 2014 are composed of a mixture of indie and studio films. Each movie is helmed by a director with a visionary approach to their material, which created some of the most memorable sequences of the year. Some standout moments include, the thrilling and amusing prison escape in The Grand Budapest Hotel, the eerie black layer that Scarlett Johansson seduces her male prey to in Under The Skin, the exciting new past sequence that Wolverine (Hugh Jackman) wakes up into in X-Men: Days of Future Past, the unnerving reveal of the code machine's first discovery in The Imitation Game, the chilling tragedy that culminates in Foxcatcher, Amy's (Rosamund Pike) deadly visceral betrayal in Gone Girl, the electric crescendo of musicians at war climax in Whiplash, Michael Keaton's hilarious walk in his underwear through the public streets in Time Square is unpredictable fervor in Birdman, the powerfully moving moment of Matthew McConaghy watching videos of the family he has left behind on earth in Interstellar, and finally, the entire viewing experience of the deeply personal Boyhood. Director Richard Linklater took an experiment (filming the childhood of a boy (Ellar Coltraine) becoming a man in front of our eyes, using only one actor for 12 years of shooting) and created a masterful movie about the way life unfolds in unpredictable and ordinary fashion, but also how each moment we experience shapes us into the people we become. No movie created that truth as powerfully as Linklater's one-of-a-kind wonder. The best film of 2014. Jordan's Choices 1. The Grand Budapest 2. Blue Ruin 3. Inherent Vice 4. Calvary 5. Only Lovers Left Alive 6. Birdman 7. Locke 8. Under the Skin 9. The Immigrant 10. 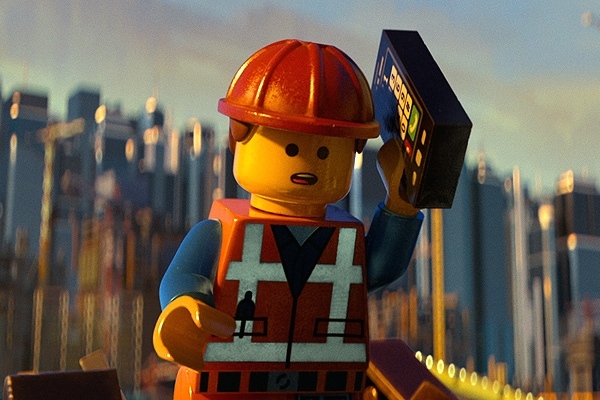 The LEGO Movie Although 2014 may not have been a great year for Oscar contention, or big-named critical hits, It was a fantastic year for cinema. With a slew of incredible foreign films like the Dardenne Brothers Two Days, One Night, Andrey Zvyagintsev's Russian epic, Leviathan, or Turkish director Nuri Bilge Ceylan's Winter Sleep, 2014 was truly an amazing year. To narrow the field and make this list slightly easier for myself, I have chosen, like the Academy, to focus on English language films (a cop out, I know). Rounding out the “bottom five” is an eclectic group of great films ranging from the nostalgically silly, to sincere cinematic powerhouses. From ten to six they are as follows: The LEGO Movie, The Immigrant, Under the Skin, Locke, and Birdman. Usually the hardest group, as it is the cutoff for the top-ten, my “bottom five” has some of my favorite movies of the year (obviously), and some that were simply enthralling. My “top five” includes the films that personally affected me to a surprising-enough extent, as to have stuck with me long after seeing them in theaters (longer for some than others). My top five... drum roll… Only Lovers Left Alive, Calvary, Inherent Vice, Blue Ruin, and The Grand Budapest Hotel. Wes Anderson is one of my favorite directors, and Grand Budapest Hotel is the most Anderson-ey movie he's ever made. Full of rich vibrant colors, and quirky, intelligent performances from Ralph Fiennes, Saoirse Ronan and Willem Dafoe, The Grand Budapest Hotel is an absolute delight. A beautifully crafted love-letter to cinema and storytelling, The Grand Budapest Hotel is Anderson's fantastic return to adult fare. Mitchel 's Choices 1. The LEGO Movie 2. Guardians of the Galaxy 3. Big Hero 6 4. The Fault in our Stars 5. Captain America: The Winter Soldier 6. 22 Jump Street 7. Snowpiercer 8. The One I Love 9. The Maze Runner 10. Gone Girl Not much has changed since I contributed to Entertainment Fuse’s Top Five Movies of 2014 So Far back in August. Well, okay some things have changed, including a few blockbuster knockouts causing me to re-shuffle a few items around, but nothing so earth-shattering as to replace my absolute favorite movie of the year, which I’ve yapped on enough about and you can read about pretty much everywhere. In fact, I will not talk about any movie I already mentioned previously, so without further ado (and a reminder that I’ve yet to see contenders like Boyhood, The Babadook, and The Skeleton Twins, amongst others), these are the other top five of my favorite movies this year. Guardians of the Galaxy had a ridiculous amount of hype to live up to, considering the massive Phase Three slate Marvel revealed last Fall. Had their huge universe-expanding head-trip utterly bombed at the box office, would we be getting Captain Marvel? Or Inhumans? Hell, would Thor: Ragnarok have seen the light of day? Who knows. What I do know is that Guardians is not a perfect movie. In fact, it pretty much solidifies what we have all been thinking for years now: that a “Marvel- Movie” is a genre. There’s a magical McGuffin and an underdeveloped evildoer and a bunch of wisecracking super-heroes whose theme songs are inexplicably some sort of retro 80’s power ballad. But it’s more than the sum of its parts. Its character-over-plot focus gives the film an episodic feel that makes it imminently rewatchable, marrying with its Indiana Jones-in-space vibe. But what makes Guardians so utterly unique is that it stocks its supporting cast with out-of-nowhere power-players (Dave Bautista’s Drax may be my favorite casting of the year) and disguises itself with enough weirdness (Xandar? Yondu? Cruella De Vil as Space Coulson? Sure!) as to make it appear like something we have never seen before. Now that’s a superpower. The rest of my list will be presented in speed-round form since Guardians got so much love (deservedly so). I said it once and I’ll say it again: Big Hero 6 is this generation’s The Incredibles. Less emotionally mature and thematically relevant, for sure, but with all the whiz-bang, crackling action and endearing characters as that original superhero family, plus a Baymax. The One I Love is a weird movie. And not much can be said regarding its plot or characters or anything, really. But it’s eighth on my favorite movies of the year list for a reason: it surprised me. Not in its slow Trojan-horse plot structure, and not even in its bonkers final minutes, but in its use of an extremely abnormal subject matter to dissect something as utterly normal as a dissolving marriage. The least you know going in the better, but anyone who loves a movie being billed as one thing and turning into something else (think most Edgar Wright movies, the first season of LOST) will get a kick out of this. The Maze Runner, like the last item on this list, loses some of the panache and quick-witted nimbleness of its novel counterpart. But, in an ironic twist of fate, Maze Runner comes out on top because of its sheer inherent stupidity. Gone Girl is a better movie, undoubtedly. But what that movie loses in character shading and emotional deep-cuts in transition to screen truly kneecaps it of some of its horror-inducing brilliance. It goes from a bone-deep wound of scathing indictment on marriage and gender politics to a still-searing but less hurtful flesh wound of a movie. The Maze Runner loses a lot, as well, including an entire telepathic subplot, but its sheer bombastic stupidity is some of the most infectiously fun times I’ve had at the movies this year. It had less to lose, and came out on top of Gone Girl because of it. It also seems like director Wes Ball and his trio of screenwriters understood what it took to be a successful movie adaptation more than David Fincher’s team – a sentiment as shocking as it is unexpectedly refreshing. Kieran's Choice 1. Interstellar 2. X-Men: Days of Future Past 3. Dawn of the Planet of the Apes 4. Noah 5. Nightcrawler 6. The Raid 2 7. Gone Girl 8. The Amazing Spider-man 2 9. How to Train Your Dragon 2 10. Captain America: The Winter Soldier The action and sci-fi genres did very well with my top 10 list for this year with three of the four major superhero movies making the cut, Guardians of the Galaxy just missed out on the number 11 spot. 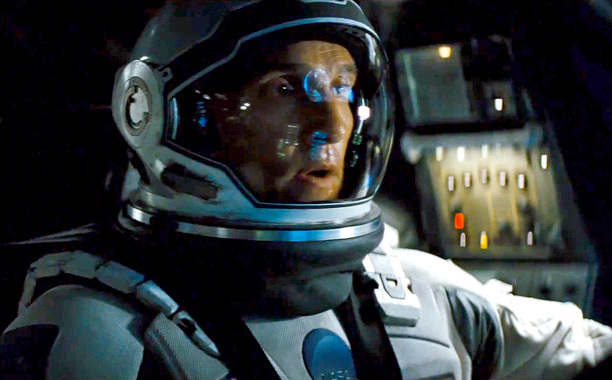 The big winner for me was Christopher Nolan's highly anticipated Interstellar, a fantastic sci-fi epic that pleases Nolan's fans, having elements of 2001: A Space Odyssey, Contact, Sunshine and Nolan's own Inception, making both a great movie about space and a personal drama. Fox scored big for me, having three movies on my list, two from their biggest franchises X-Men: Days of Future Past and Dawn of the Planet of the Apes, being great action/special effects spectacles and are character driven movies, what you would want from blockbusters. Commentary and satire about the media was the theme in two very different thrillers, Nightcrawler and Gone Girl: Nightcrawler being a movie about the tabloidization of local news in America through the eyes of a Travis Bickle type figure and Gone Girl looking at trial by media when a crime is committed in a small Missouri town. Fantasy is represented by Darren Aronofsky's controversial biblical epic Noah, an ambitious old testament story that looked at God's wrath and religious redemption and the Dreamworks sequel How to Train Your Dragon 2, a slightly more darker and dramatic movie that serves as a great continuation to the sequel. My only foreign language film in my list is Indonesia's The Raid 2, a sequel that expands on crime underworld of the first movie, being as much a crime thriller as an action movie and having some of the best action scenes in years, a must have for any action-junkie: go Hammer Girl. The Amazing Spider-man 2 is a controversial pick, but I will stand by my review that it is the second best Spider-man movie, being an excellent translation of the character, the villainous plotting, melodrama and the action. Last but not least is Captain America: The Winter Soldier with Marvel showing their ability to make a superhero version of a Bond/Bourne action-thriller and being Marvel's best movie in Phrase Two. Disclaimer: I have not yet see Boyhood and some movies like Big Hero 6 will be released in the UK in 2015.